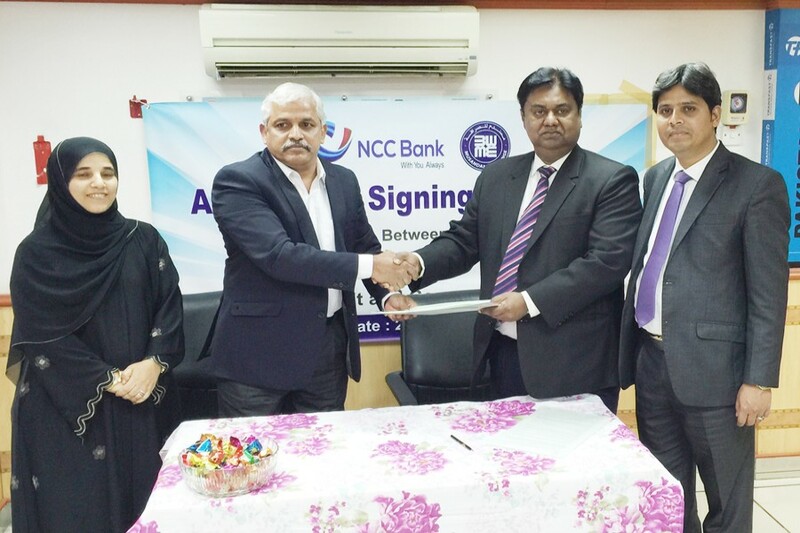 NCC Bank has signed a remittance drawing agreement with Musandam Exchange, Oman recently, according to a statement. Mosleh Uddin Ahmed, Managing Director & CEO of NCC Bank and Zacharia P.S., General Manager of Musandam Exchange, Oman signed the agreement on behalf of their respective organisations during NCC Bank's top level delegation's recent visit to Oman. Vice President and Head of Remittance & NRB Services of NCC Bank Md. Mahfuzur Rahman along with other senior executives of Musandam Exchange were also present on the occasion. With this agreement a new way has been started for the Bangladeshi expatriates in Oman to remit their hard earned money to their relatives and family members in Bangladesh safely, quickly and conveniently through all branches of NCC Bank, its associate NGOs and sub-agents, the statement added.